As we get older, the risk of osteoporosis becomes a much bigger concern. This disease will eventually affect one out of every two women and one out of every five men. If you do have osteoporosis, you probably know that you're at an increased risk of fragility fractures. These are bone breaks that occur either after a fall or even in the absence of an obvious cause. They typically occur in the wrist, upper arm, hip, and spine. And if you do experience one of these breaks, you're likely to experience another in the future. Fortunately, new research shows that there may be something you can do if you experience one of these fractures. According to research published in The Journal of Bone & Joint Surgery, you can reduce your risk of experiencing a subsequent fracture by 40% for the next three years. All you need is the right treatment plan. 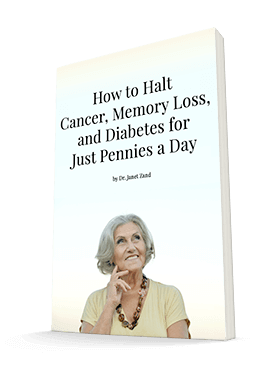 For this study, researchers at the University of Chicago Medical Center studied over 30,000 patients over the age of 50 for a three-year span. About 3,200 patients followed a treatment plan that included anti-osteoporotic therapy for at least six months. They found that those who followed the treatment plan experienced a 34% reduction in hip fractures, 43% in spine, 50% in wrist, and 52% in upper arm. Combined, this was a 40% reduction in fracture risk overall. 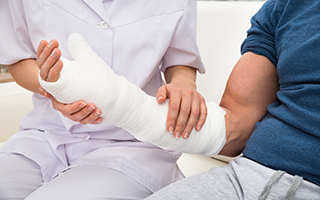 Lead study author and orthopedic surgeon Harpreet Bawa, MD, explained, "The study highlights the public health benefits for improved prevention of secondary fragility fractures. This knowledge can help patients make an informed decision about their treatment options after a first-time fragility fracture." If you've experienced a fracture, don't ignore it once the break has healed. Research has shown that staying active and improving your strength and balance prevents breaking a bone. Consider dancing, strength training, hiking, walking, gardening, Pilates, or Yoga. There are now so many free classes that you can download from YouTube. Be careful with your footwear. If you're stepping out in high heels, make sure that they're comfortable and you can manage in them. As we age, we tend to lose some of the contrast sensitivity in our vision. Make sure that your living spaces are well lit. Check your vitamin D level. If your level is low, take a supplement. You can also take a supplement like Ultimate Bone Support to help keep your bones as healthy as possible. You should consider this whether you've experienced a fracture yet or not. H.S. Bawa, J. Weick, D. R. Dirschl. Anti-Osteoporotic Therapy After Fragility Fracture Lowers Rate of Subsequent Fracture: Analysis of a Large Population Sample. The Journal of Bone & Joint Surgery, 2015; 97 (19): 1555 DOI: 10.2106/JBJS.N.01275.